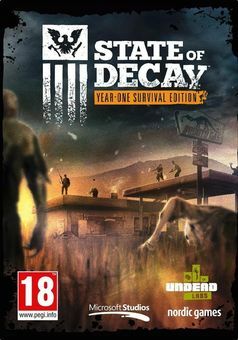 State of Decay: Year-One Survival Edition brings the hit zombie survival-fantasy franchise to Xbox One. State of Decay, along with major Add-Ons Breakdown and Lifeline, is now fully remastered in stunning 1080p. New missions, weapons, and extra content, along with improved lighting, textures, animations, and combat mechanics, will pull you even deeper into the post-outbreak world. How will you survive the zombie apocalypse?